Over three decades on, fight fans everywhere STILL argue over who really won the middleweight title fight between defending champ Hagler and big betting underdog challenger Leonard. There have of course always been debatable decisions in boxing and there will continue to be so. Yet when it comes to picking one fight that is sure to cause a very passionate debate on the subject of who should have been awarded the judges’ decision, this is the one fight that is the big daddy of them all: Sugar Ray Leonard’s 12-round split decision victory over reigning and defending middleweight king Marvelous Marvin Hagler still being watched and re-watched, scored and re-scored all these years later. The unforgettable fight took place 31 years ago today, and fans and experts alike remain as split down the middle as can be when it comes to who really won the fight that went down on that glitzy night at Caesars Palace in Las Vegas. Arguably the biggest of the round robin of epic super-fights The Fabulous Four – Leonard, Hagler, Thomas Hears and Roberto Duran – lit up the sporting world with in the 1980s, Leonard-Hagler became even bigger after the final bell. And the fight’s legendary status has continued to grow, thanks mostly to the ongoing arguments fans the world over have engaged in over the deserving winner. Leonard, inactive and having undergone retinal surgery, had never before boxed as a middleweight. Hagler was unbeaten in 11 long years and he was finally getting the fight he had craved, even obsessed with, for around half that time. What’s more, Hagler had recently crushed the man who had given Leonard his toughest (arguably at least) fight. There could be only one winner on the evening of April 6th, 1987, right? Wrong. Stunning the boxing world, 4-1 underdog Leonard boxed a near masterpiece as he frustrated Hagler, made him lunge and miss and generally wormed his way right into the shaven-skulled southpaw’s head. The mind games had started years earlier, and as the biggest fight of his life arrived, Hagler was ready to be taken by Leonard and his cunning tactics. This is not to say the fight wasn’t close, as it definitely was. But Leonard, somehow, got into Hagler’s head to the point where Marvelous didn’t come out blazing the way he did in his second most famous fight, the brutal war with Thomas Hearns – a warrior who was willing to meet him in ring centre and go to war with him. Instead, Hagler came out orthodox and tried to box with the master boxer. Big mistake. Hagler and his millions of fans can continue to complain about the split verdict that went Sugar’s way for another 31 years, but it will not change the fact that Hagler fought a dumb fight early on and pretty much gave away the first four rounds. Had Hagler not fallen for any of Leonard’s mind games, instead fighting his usual, hugely effective fight, Leonard’s confidence perhaps wouldn’t have reached the heights it did, with him being able to box well late in the fight and to get through the rocky spells of trouble Hagler put him in – most notably in the 9th-round. Okay, Hagler was showing the signs of having become a slower, older fighter who had been through a long and hard career, even before the Leonard fight (most noticeably, certainly to Leonard, in the John Mugabi fight that took place 13 months earlier) but this made the champ’s decision to try and box, instead of coming out blazing in an effort to get the win, all the more perplexing. If Hagler was a somewhat tired fighter who was growing more and more fatigued, then why not try and get the damn fight over with as quickly as possible? To this day, there are plenty of people who think that Leonard, had he not been met by a strangely passive Hagler in the early going, instead being met by the onrushing southpaw monster who had blasted Hearns, would not have been able to cope. 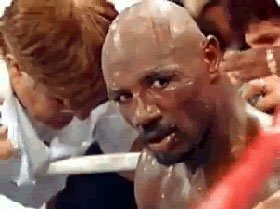 Yet Hagler, in facing a fighter who had been inactive for the best part of half a decade and, the thinking went, would be rusty early on in the Super-Fight as a result, allowed his challenger to ease his way into the fight by boxing and finding his feet, and his confidence, as he pleased. The later rounds saw Hagler pour it on, his big 9th being his highlight round, and Leonard had nothing left in the 12th, losing this session also. But had Hagler done enough? No. It was close, and plenty of the later rounds were hard to score, but Leonard, with his tactic of throwing eye-catching flurries in the last 30-seconds of the rounds, had, as one writer put it, “stole it fair and square.” The man who became the new middleweight king would not have been allowed to get away with half of the tricks he got away with had Hagler not been so compliant; in those early, crucial rounds especially. The scoring of one judge aside, who infamously scored the fight for Leonard by a whopping 118-110, the official scoring reflected a close fight that Hagler should never have allowed to have been so close. Hagler blew the fight, it’s that simple. And maybe the reason he is still so mad about the loss he suffered is because deep down he knows he blew it. How did you/do you have it? For what it’s worth, my scorecard reads 6-5-1 for Sugar Ray. A mighty close fight, on that we are all agreed.